***Over $100k Price Reduction*** Bring All Offers! 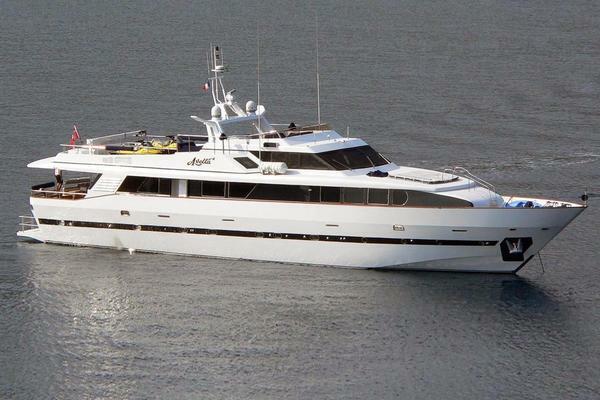 102' Destiny 'Pushy'accommodates 10guests in 5 large staterooms with an on deck master. Twin 2800 HP 12V4000 M90 MTU's with acruising speed of24 knots @ 1850 RPM, maximum speed30 knots. She had a $400,000 refit at the Rybovich yacht yard in the fall of 2010. In 2018 one engine was rebuilt and she has all new softgoods throughout boat.The flybridge features a second helm, spacious seating, wet bar, grill, hot tub, two Wave runners and a tender. The "Pushy" also carries 5425 gallons of fuel and 800 gallons of water. Maintained with an open checkbook she is a must see and turn key for a buyer and his family that are ready to cruise the islands. 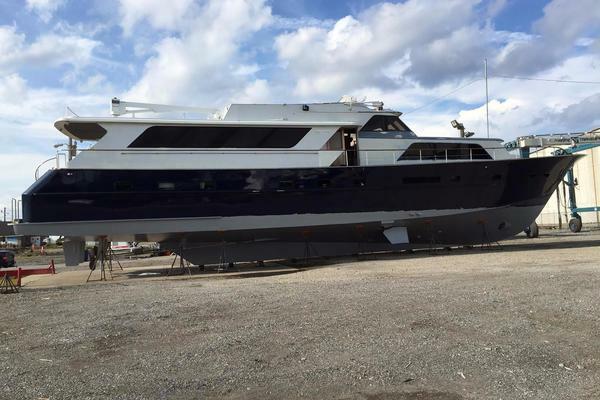 United Yacht Sales New Jersey would love to guide you through a personal showing of this 102' Destiny Motor Yacht 2001. This yacht for sale is located in Palm Beach, Florida and priced at $2,195,000. For a showing please contact us by filling out the form on this page and we will get back to you shortly!